water, sourced from low quality sources which can be contaminated with pollutants like arsenic, aluminum, and fluoride.These contaminants can increase risk of serious health problems, including cancer, Alzheimer’s disease, and a weakened immune system.The real solution to healthy drinking water is in true spring water, captured from a natural mountain or artesian spring, filled with vitamins and minerals to provide the best tasting hydration. Taste and feel the difference with pure, refreshing Icebox Water. Icebox Water offers crystal clear, spring water from Canada’s True North Spring, which is naturally purified and bottled at the source far from any contaminants. Instead of drinking unsafe or impure tap water, enjoy the deliciously crisp taste of Icebox Water’s clean Canadian spring water. Icebox Water is passionate about providing the cleanest, highest quality drinking water that is good for both people and the planet. 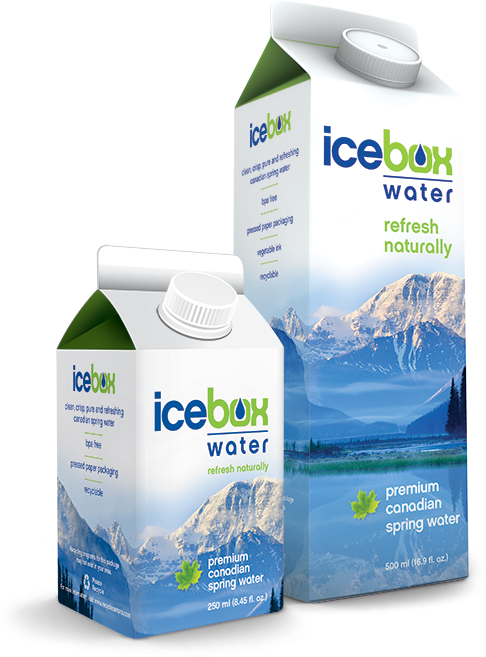 Knowing the risks of tap water, and concerned about the effects of BPA in plastic water bottles, Icebox Water offers pure Canadian spring water in an environmentally friendly, pressed-paper carton that is 100% recyclable and BPA free. By bottling pure spring water right at the source, Icebox Water contains healthy minerals to support health, provides a balanced pH level to help neutralize acidity in the body, and promotes strong, healthy bones. The True North Spring provides unadulterated Canadian snow run-off and rainwater drawn into a glacier-carved valley. The natural filter of the glacier’s sediment and rock purifies the water while enriching it with valuable minerals and electrolytes. Insulating the premium spring water inside, Icebox Water’s innovative, sustainable carton retains the spring’s naturally delicious taste while keeping the water cold for maximum refreshment. Icebox Water is the obvious solution to the drinking water dilemma, providing a safer, healthier way to enjoy great tasting, spring water. Naturally-sourced Icebox Water offers refreshing Canadian spring water in its unique pressed paper carton that is 100% recyclable and BPA-free. Enjoy healthy hydration and “Refresh Naturally” with pure, delicious Icebox Water. Icebox Water™ produces conveniently packaged water that is good for people and good for the planet. The unique carton packaging is made from 74% cardboard and pressed paper, and is 100% recyclable. Icebox Water™ is free of bisphenol A (BPA), a chemical commonly found in plastics, and boxes its water at the source of Canadian springs to ensure that it maintains the highest standards of purity and taste. As a member of the non-profit 1% For The Planet and through its GreenUp Hollywood campaign, Icebox Water demonstrates its commitment to social responsibility and sustainability. Icebox Water™ can be found throughout North America at major markets such as Whole Foods, Mother’s Market, Albertson’s and Gristedes. 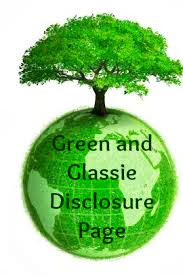 For more information about Icebox Water™, please visit www.iceboxwater.com. Find Icebox Water on Facebook and follow on Twitter and Instagram @IceboxWater for general updates and promotional opportunities. For media opportunities or brand ambassador inquiries, please contact Lauren Haines of Christie Communications at (805) 969-3744 or lhaines@christiecomm.com.